The two-sectional staff (Shaozi Gun) is convenient to carry and can be used as a pole to carry a load on shoulder or use it as a hook. It is more powerful than a staff because of the extra staff at the tip. It is short and flexible with very strong attack impact making your enemy difficult to defend. Its main usages include twine, split, sweep, click, break, smash, jab etc. 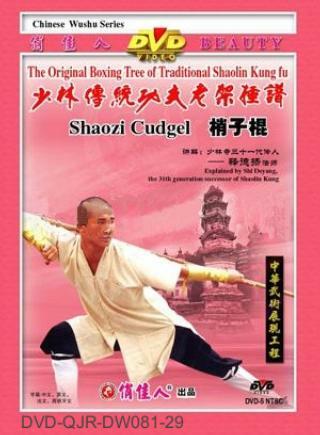 • Shaozi Gun is a long staff with a short staff segment attached to the end by a chain linkage, making it a more dangerous weapon than the conventional staff. While an opponent may block the long staff portion of an attack, the short segment can continue to strike beyond his defense.